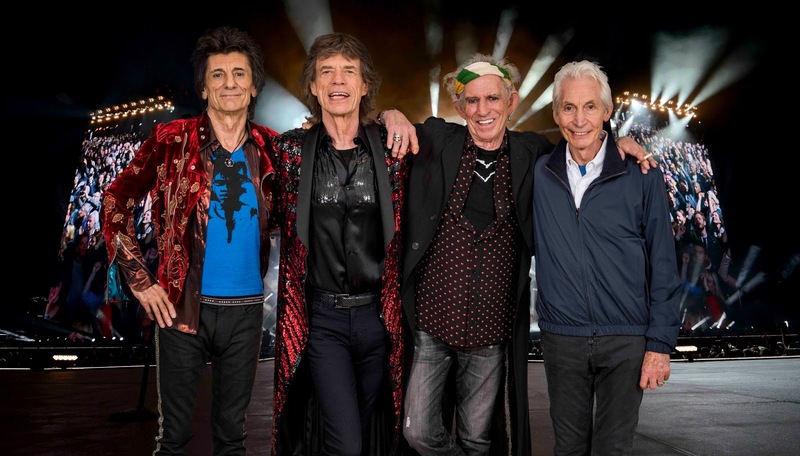 Just like they promised The Rolling Stones are back where they belong on home turf with a number of massive UK concerts in May and June plus others confirmed for Ireland, France, Germany, Czech Republic & Poland. Part two of the ‘STONES - NO FILTER’ tour, sponsored by Jeep®, sponsor of The Rolling Stones European tours since 2014, sees Mick Jagger, Keith Richards, Charlie Watts and Ronnie Wood continue on from their hugely successful sold out European trek in the autumn of last year. The Rolling Stones last played in the UK in the summer of 2013 with their unforgettable Glastonbury headline show on the Pyramid Stage, followed by two sensational shows in London’s Hyde Park where they played to a sold-out crowd of 65,000 fans. The Stones - No Filter tour, produced by Concerts West/AEG Presents, kicks off in Dublin (Ireland) on May 17 and then heads for the UK – London, Manchester, Edinburgh, Cardiff, a second London show at Twickenham Stadium, plusBerlin, Marseille, Stuttgart, Prague & Warsaw (see full details below). DUBLIN Croke Park is home of the Gaelic Athletic Association (GAA) and Ireland’s Gaelic Games. It will be the largest stadium The Rolling Stones will play on this tour. LONDON The London Stadium, host of the London 2012 Olympic games, in the heart of Stratford is the home of premiere league team West Ham United FC. MANCHESTER Old Trafford Football Stadium, nicknamed ‘The Theatre of Dreams’ has been home to one of the most famous football clubs in the world since 1910 - Manchester United Football Club. EDINBURGH BT Murrayfield Stadium, home of the Scottish Rugby Union is Scotland’s largest rugby stadium. It has hosted some of the world’s most famous musicians and witnessed some of the world’s best rugby matches over the past century. CARDIFF Principality Stadium, formerly The Millennium Stadium is the national stadium of Wales. The Rolling Stones first played here back in 2006 on their A Bigger Bang tour. LONDON Twickenham Stadium has been the home of England Rugby for over 100 years. Twickenham is the largest rugby union venue in Europe. It played host to Rugby World Cup Final in 2015. BERLIN The Olympiastadion in Berlin was built for the 1936 Olympic Games. It was a host stadium for the 1974 FIFA World Cup along with the final of the 2006 World Cup. Many Stones gigs have been staged at this iconic venue in the past.